International Garden Photographer of the Year arrives at Stiftung Schloss Dyck for the first time with a full indoor exhibition, set amongst the grand Baroque castle and English landscape garden. It is the perfect place to view an exhibition of the finest plant and garden photography from across the world. The imposing moated castle Dyck is regarded as one of the most important cultural monuments on the Lower Rhine and can look back upon nearly 1000 years of history. 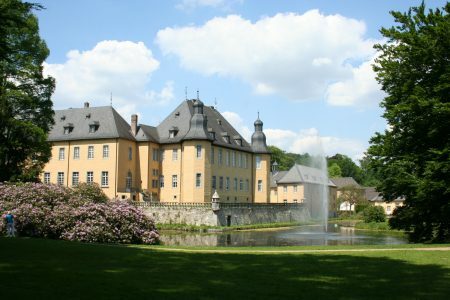 As Centre for Garden Art and Landscape Design Schloss Dyck has a long tradition of supporting the arts and culture as well as gardening. Its setting makes for a truly special International Garden Photographer of the Year exhibition.